Oh, well played, presumptive Republican Presidential nominee Mitt Romney. You just put this on the ticket. To quote the Ed Sullivan Show, "Sorry, girls, he's married." 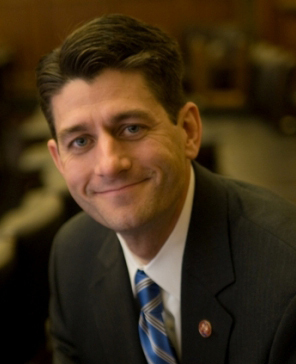 Representative Paul Ryan (R-Wis.) is going to be your running mate, you announced today. You want to play hardball? Um, yes please. 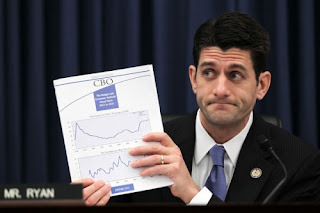 ﻿ Oh, you say you picked him because he's the chairman of the House Budget Committee and a senior member of the Ways and Means Committee, so he's all competent with money and savvy with legislation blah blah blah. He gives his all, fiscally and friskily. Woof. But I know why you really chose him: To get me - specifically me - to vote for you. I mean, I'm flattered and all. Clearly someone in your campaign took you aside and explained that Chuck Baudelaire was a tough nut to crack and also thinks you're kind of creepy and borderline evil. So to get my vote you handpicked a running mate scientifically formulated to be irresistible to me. Let me count the ways. 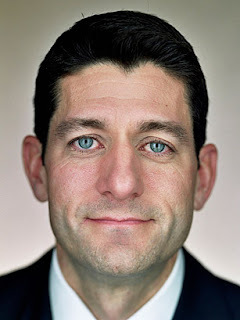 Paul Ryan is from Wisconsin. 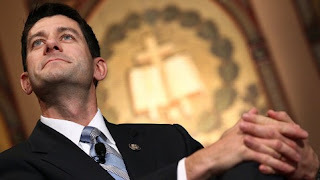 Is this church hot, or is it just Paul Ryan and Jesus? ﻿ He's two years younger than I am, so I can totally think impure thoughts about him without it being some weird cougar thing. "recreate government line charts with your mouth"
﻿ Also, during the Vice-Presidential debates, I'll be looking at this. 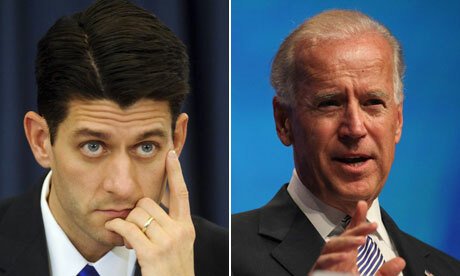 Mr. Biden, your time is up. Also, please shut up so I can drown in Mr. Ryan's eyes. ﻿ Oh, and you know damn well I can't resist "A Mormon and a Catholic walk into a bar" jokes. You really did your homework, Mitt Romney. Sure, he's a hard-core conservative whose views clash with mine on a whole host of issues. But I'm just a chick blogger, so issues shmissues, amiright? 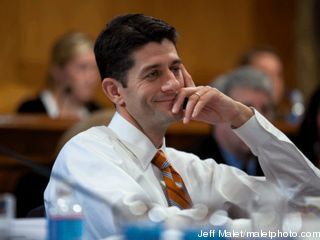 Stare at this young, handsome, cheese-loving altar boy for a while, then shut up and vote. ﻿ ...who is just a little worked up right now.